Hey guys. I hope you are all doing well. 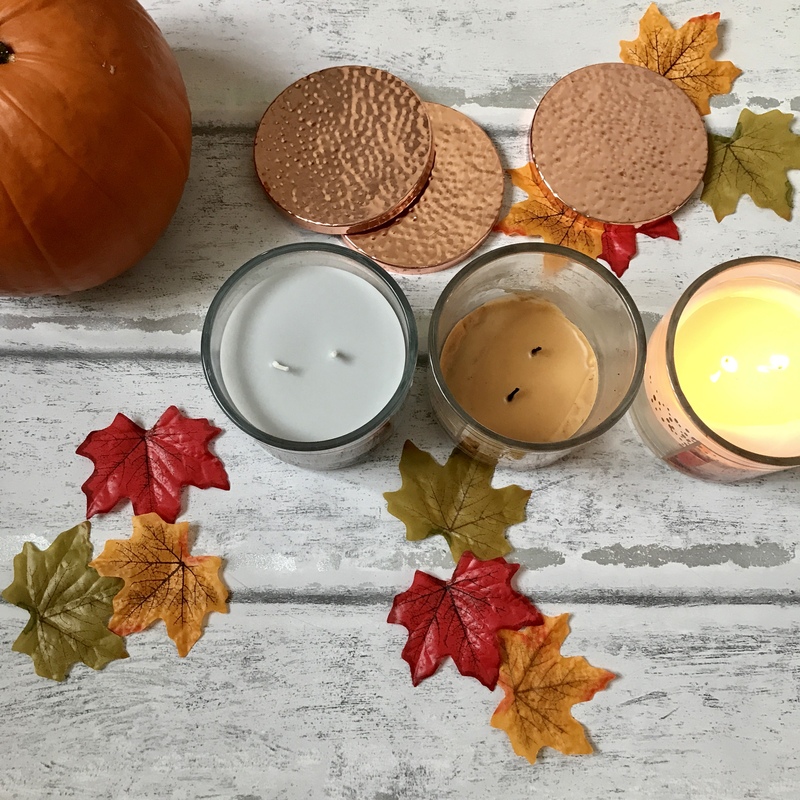 Today I am talking about something I absolutely love.. CANDLES! I recently found Bath and Body works candle dupes, and I am obsessed. For us, in the UK Bath and Body works products are sooo hard to get hold of as they aren’t in the UK, so when I saw these I was like, yesssss! Also I have a fricking pumpkin in my pictures today, too cute! I actually have a Bath and Body works candle and it is really strong in scent and all three of these candles are too. 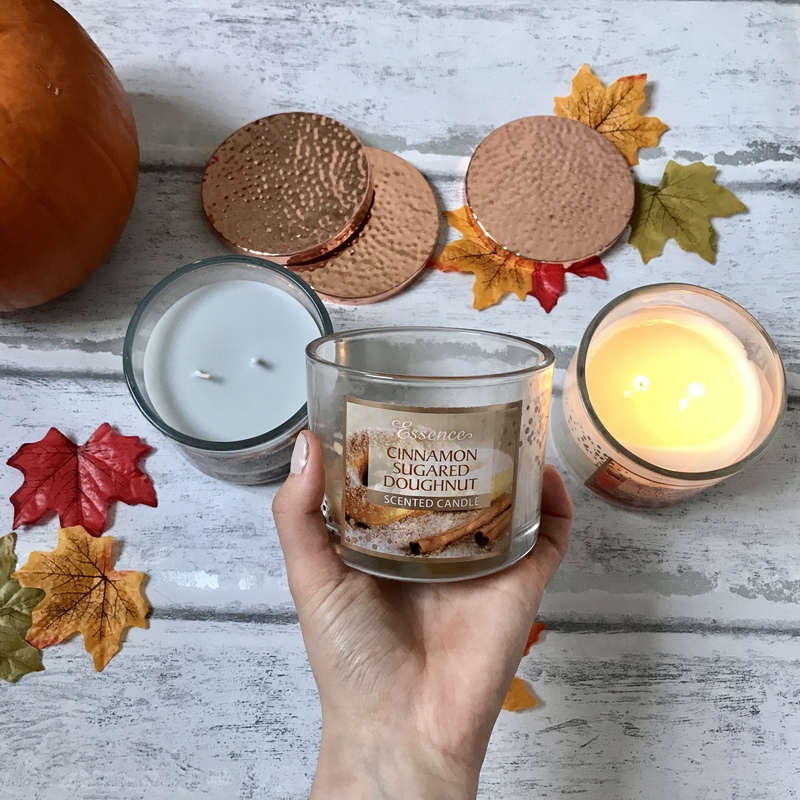 I got these candles from B&M, they are made by Essence and they were £3.99 each, which I think it really good considering they are two wick candles and they burn for hours! These candles didn’t appear on their online shop so if you are interested in these then visit your nearest B&M store. I got Pumpkin Waffles, Fireside Marshmallow and Cinnamon Sugared Doughnut and they all smell amazing! one thing that I love about these candles is that the WHOLE candle burns, don’t you hate it when the candle burns inwards? So much of the candle is wasted. These burn downwards and I am so happy about that! let me know if you know what I mean about the candle burning inwards and does this annoy you too? I have burnt most of Cinnamon Sugared Doughnut, I starting burning Pumpkin Waffles and haven’t actually started using the Marshmallow Fireside yet. My friend has the Marshmallow Fireside, I smelt it and I was like damnnn I need it! I love the packaging, I like that it is glass because you can see the candle inside and I love that it has a copper lid. I much prefer when candles come with a lid because I find that otherwise they will get dusty really easy. I love copper so I thought the lid was really cute. I also think that it is such a good idea that they put a plastic bit that runs around the inside rim of the lid, it stops the lid being put on so harsh that the glass could break. This was the first candle I burnt. OMG IT IS AMAZING. It is such a sugary sweet scent, it will literally fill your whole house with the smell. My sister the other day said that she can always smell when I am burning candles from downstairs because it fills the whole house. This candle isn’t too cinnamony, it is more of a sweet doughnut scent with a hint of cinnamon. I like the colour of the actual candle it is a nice warm brown colour. This candle has a really particular smell, so you will either love it or hate it and personally I love it. It doesn’t at all smell sweet, but it does smell like marshmallows. It must definitely have some sort of spice in there aswell because it is quite spicey smelling. (I’m not really good at explaining things if you can see that already) I love the colour of the candle it is a really lovely grey colour and it goes really well with the name and scent of the candle. 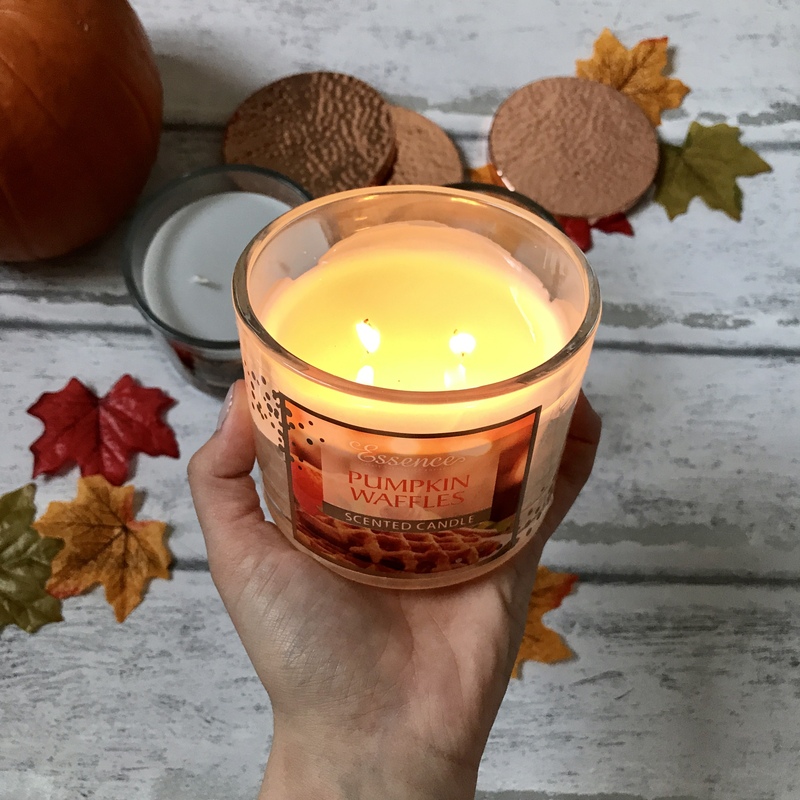 I am currently burning this one and it makes me so happy because it is PUMPKIN! this one smells like warm vanilla or warm syrup, somewhere between the two. When it burns it has such a strong scent which is good because that is what i am allll abouttttttt! This one isn’t really a strong sweet smell but it is definitely sweet. I like the colour of the actual candle, it is just a cream colour. 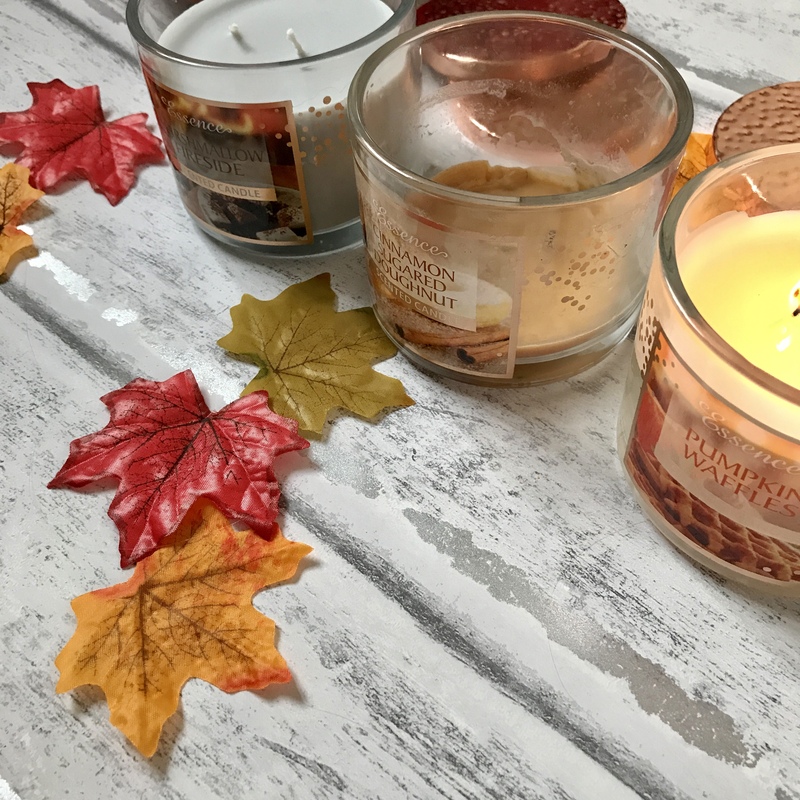 All of these candles are definitely worth the £3.99 that I paid and if you can’t live without candles, like me, then you’d definitely need these in your lives. 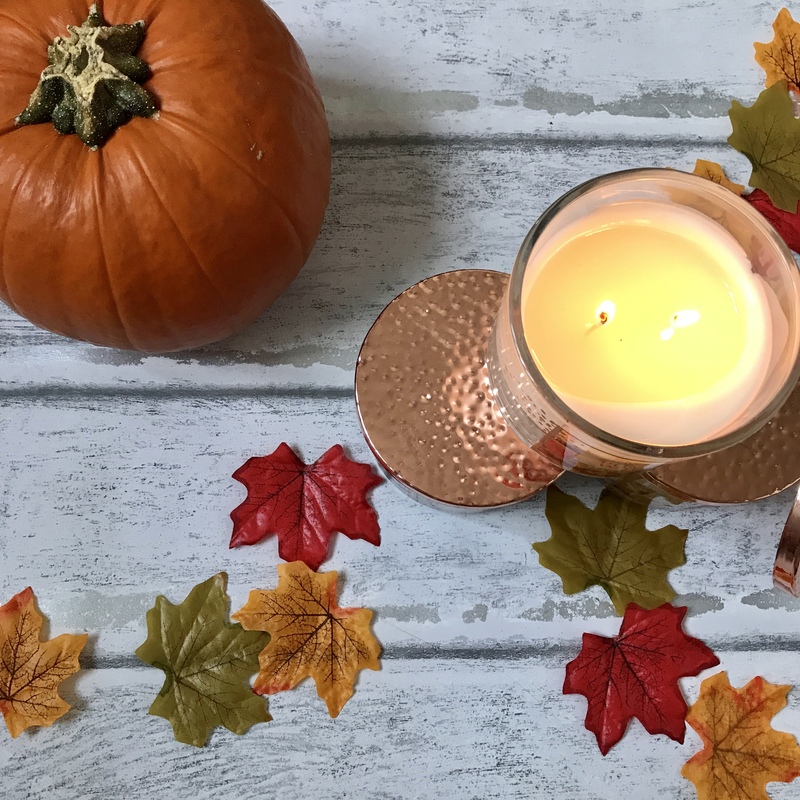 Let me know what candles you like the look of, I would also like to know if you have any recommendations for the candles that you love.. i am always on the look out for candles! Oh, these sound like they would smell great. 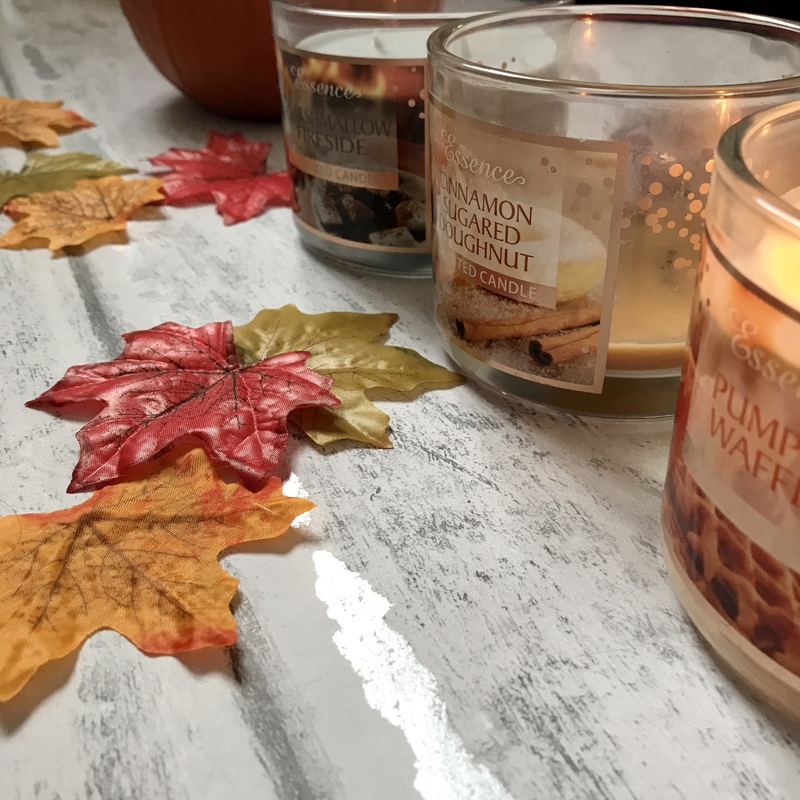 I love candle’s especially in the fall. I need to get some of these candles!!! You do and so do I! 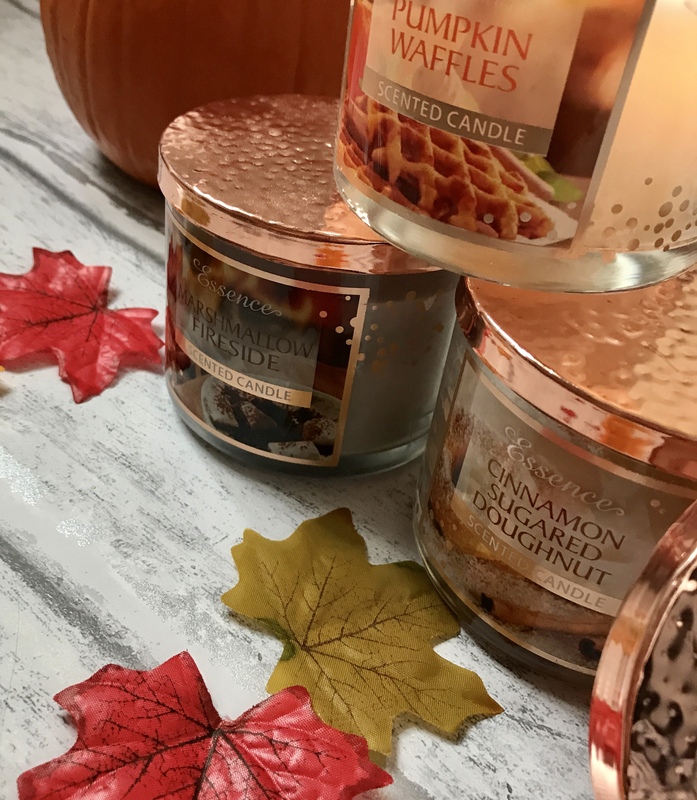 Yum yum yum, I love fall candles and scents!! I can’t believe how cheap these are, they sound like they are defiantly worth the investment! I particularly like the sound of Marshmallow Fireside! These are such a good price!! I need to go and have a smell. I wish there was an easy way to get hold of Bath & Body Works here. I love candles too! They just make a room fell so cosy and homely. I love the photos on this post, so autumnal!! I love the autumn colours so always take so many pictures!! I do too. I love, it also makes me feel cosy and then I know it is Christmas soon! Im glad that you agree! Your flat lays are AHMAYZING!!!!! Those look like they smell amazing. I’m patiently waiting for the Bath & Body Works candles to go on sale to snag a few. Aww! Maybe one day they will expand internationally! I’ve just stumbled across your blog and I’m loving your posts! 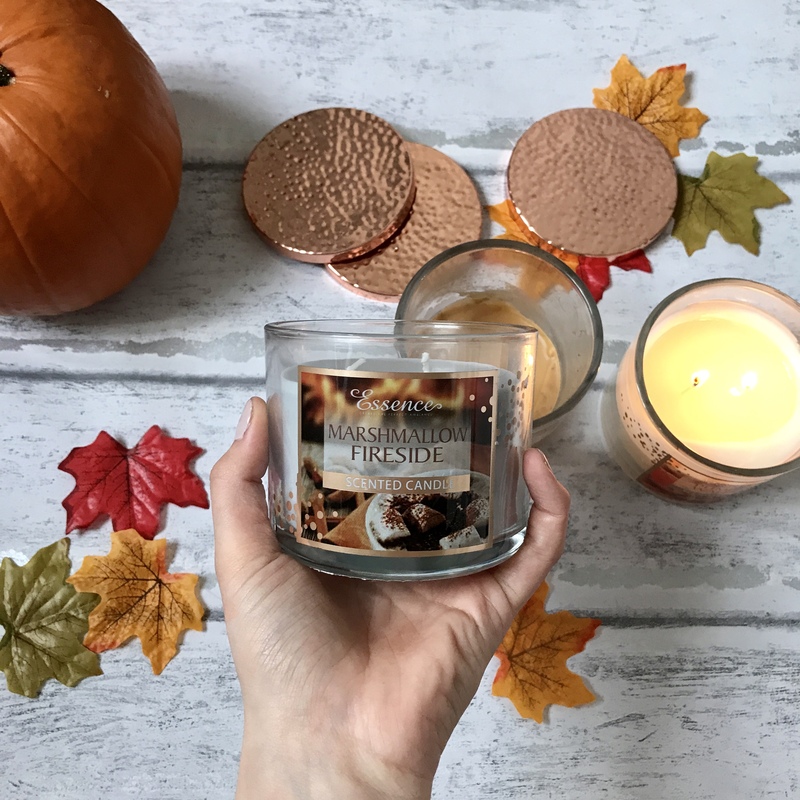 I’m a massive candle fan, it’s so nice to find someone that loves candles and anything pumpkin/cinnamon related just as much as I do!! Thank you! I love them too haha! It makes me happy that you love them aswell. Omg yes, it is such a great scent! if only, they smell amazing!